Just bought a 78 just like the one I had when I was 17. 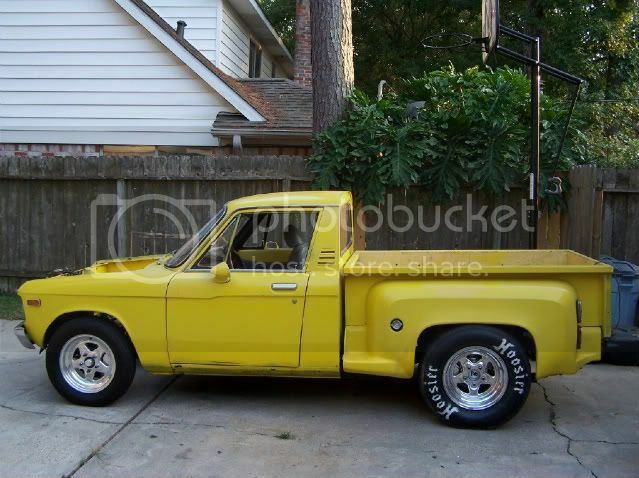 It's the same truck I asked my wife to merry me in 34 years ago. Going to restore her like she was when we were younger. Awesome, Welcome back to the Luv community! I find them very addictive. Welcome from the other side of the county..no matter which direction you decide to take,there is lots of info and experience available on this site. And if you just decide to go crazy with the little bugger like I am, there's not much negativity about "wrecking" the truck because it is seen as some sort of holy grail collectible above modification.. Thank you , looking forward to sharing the progress. Skikemp, when you figure out how to restore a wife to what she was 34 years ago, please let me know. I have a girlfriend of about 22 years that could use a little restoration herself. Oh, wait, you were talking about restoring the Luv. My bad.